I used to think that carrot cake was my all time favorite cake – until I made these. 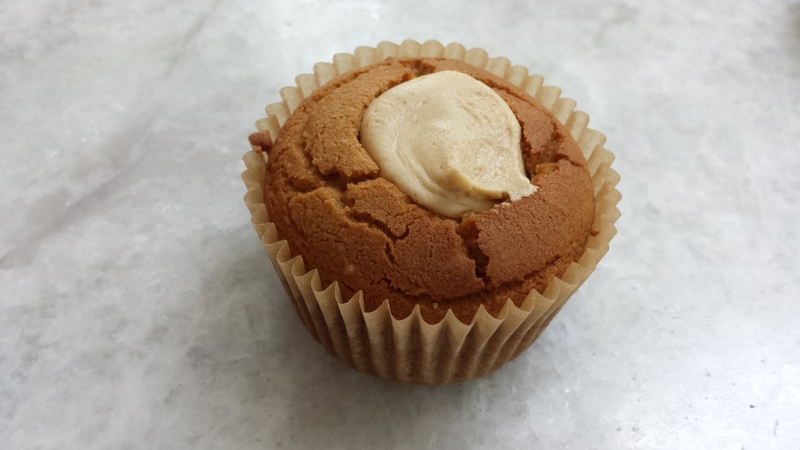 These gluten-free, grain-free cupcakes taste like a peanut butter cup. Let me repeat that. 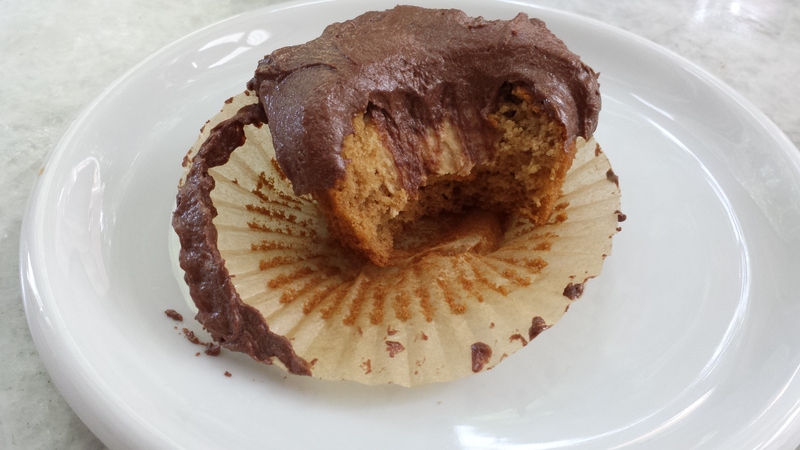 These cupcakes taste like a peanut butter cup. I’m not going to lie to you – these cupcakes require a little bit of work. You’ve got to core them and make a filling and an icing, not to mention bake the cupcakes. But it’s well worth it, I assure you! This recipe makes 16 cupcakes. 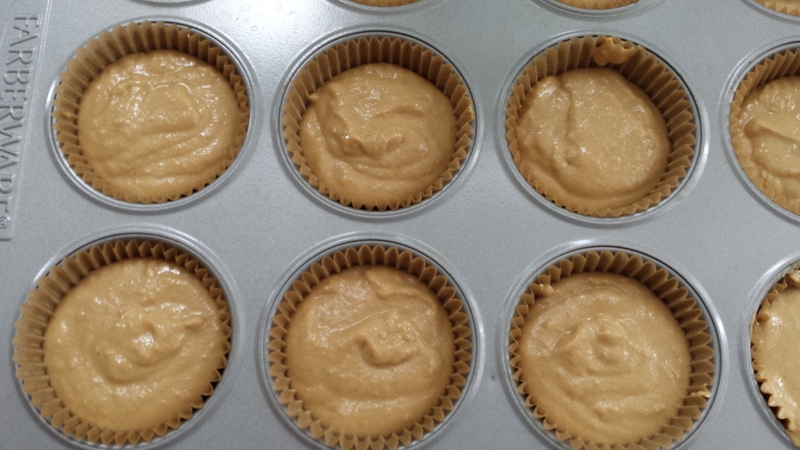 Preheat the oven to 325 degrees F. Line cupcake pans with paper cups. In a large mixing bowl, combine the almond flour, coconut flour, potato starch, baking powder, baking soda, salt, and palm sugar and blend. 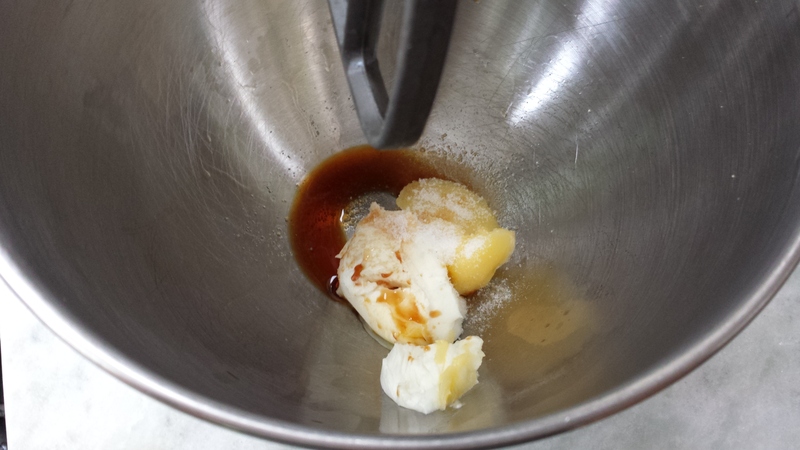 Next, add the oil, coconut milk, and maple syrup and blend until well mixed. Add one egg and mix on medium speed for 1 minute. Repeat until all eggs are added. Add the vanilla extract and mix for another minute. The batter should be a nice pourable consistency. Fill the cupcake liners about 3/4 of the way. Bake at 325 degrees F for about 22 minutes or until a toothpick comes out clean when inserted into the middle of the cupcake. Allow the cupcakes to cool completely on a wire rack in the pan. While the cupcakes are cooling, you can make your filling and icing. Making icing is a bit of an art. It requires the perfect ratio of fat to sugar to milk. 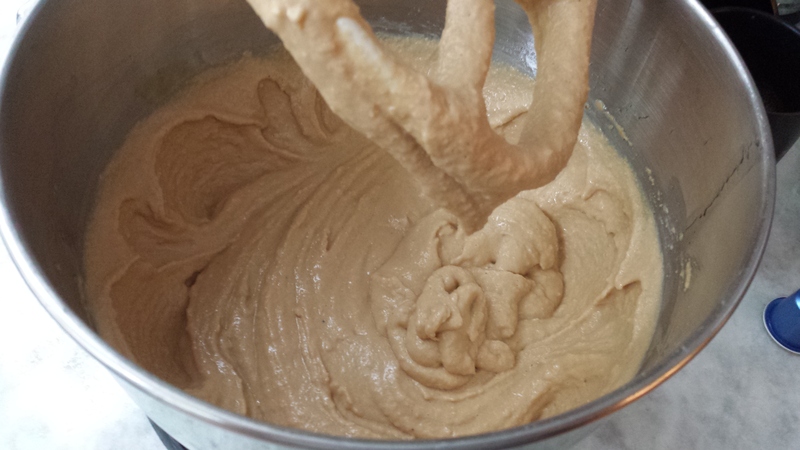 For the peanut butter (or sunflower butter) filling, add 1/4 c. of ghee and 1/4 c. of palm oil shortening to a large mixing bowl. Add 1 t. of vanilla and 1/2 t. of salt. 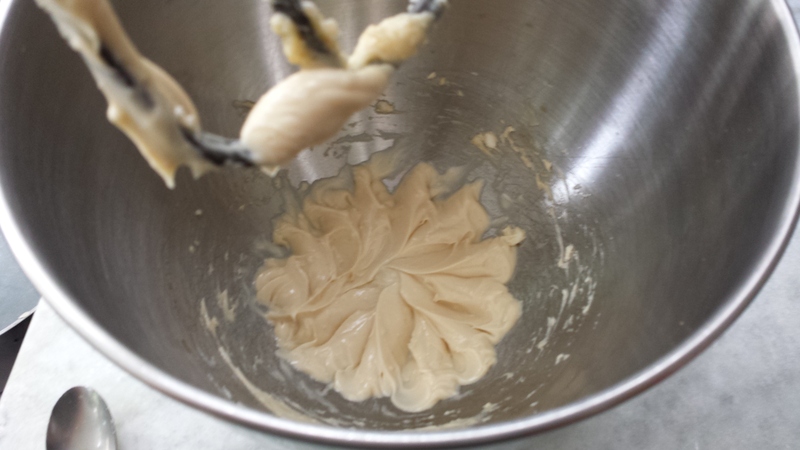 Mix on medium-high speed until the mixture is creamy. 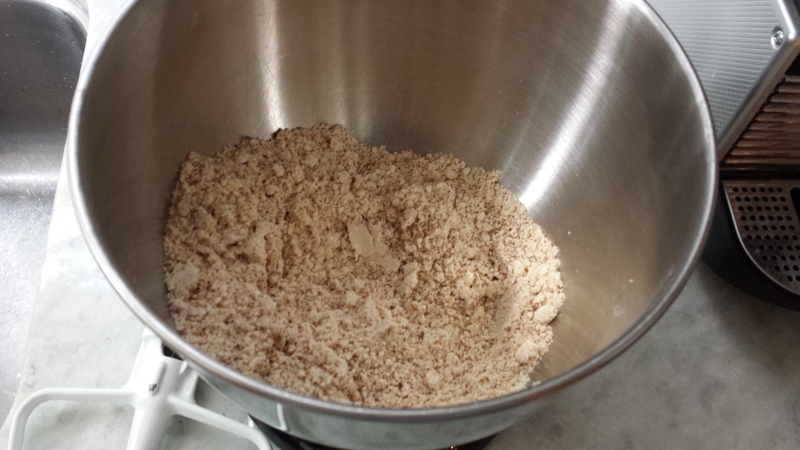 Add 6 T. of PB2 (or sunflower butter) and about 1/4 c. of coconut milk and blend thoroughly. If you’re using sunflower butter, you don’t need to add the extra milk here – ignore the 1/4 c. of coconut milk. Next, add 1 c. powdered sugar. Before adding more sugar, add a T. or so of coconut milk to get the filling to a nice creamy consistency. Add another 1 c. of powdered sugar and blend. Here’s where the icing “art” comes in – adjust your consistency by adding more milk in 1 t. – 1 T. increments. If you over do it with the milk, no worries – just add a bit more sugar. Place the filling into an icing bag (we’re fancy in my household ;-), so Ziploc bags substitute for icing bags). Pipe the filling into the holes of the cupcakes, being careful not to overfill. Set aside. 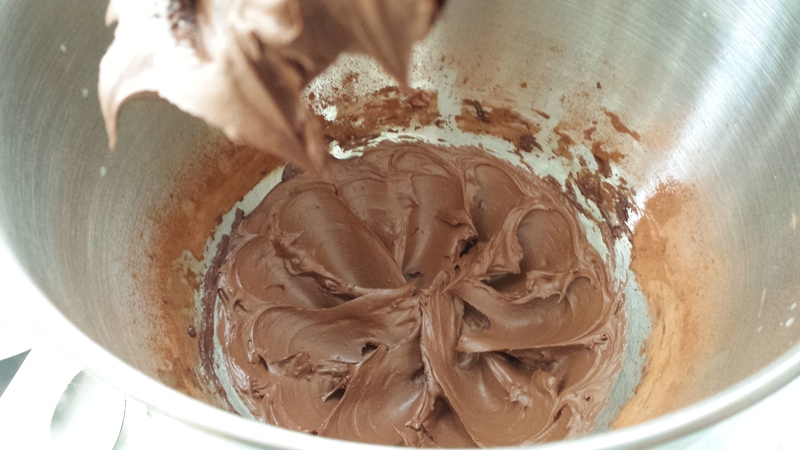 Finally, make your chocolate icing. 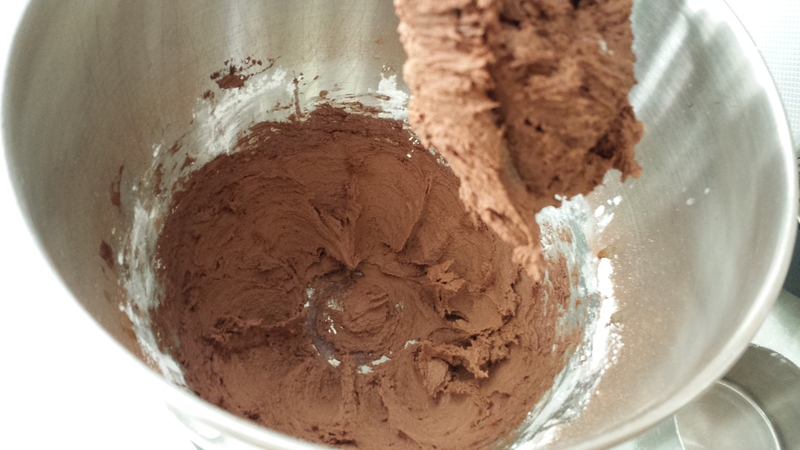 This chocolate icing is pretty rich, so a little goes a long way. 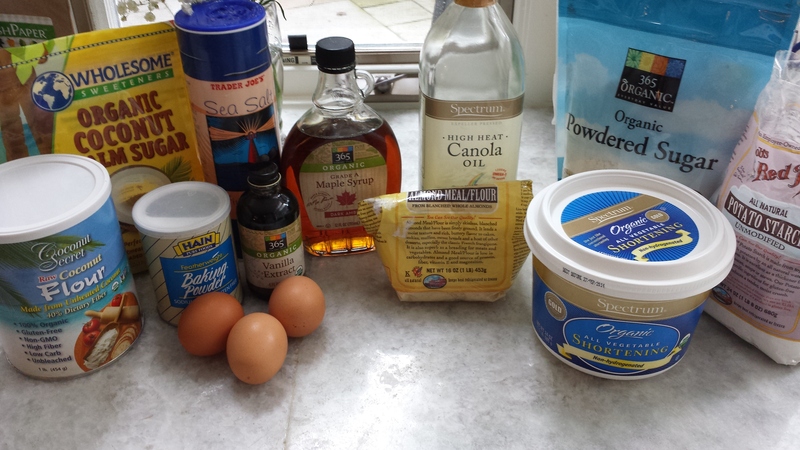 In a large mixing bowl, add 1/3 c. ghee and 1/3 c. palm oil shortening, 1 t. vanilla, and 1/2 t. salt. Just as before, cream. 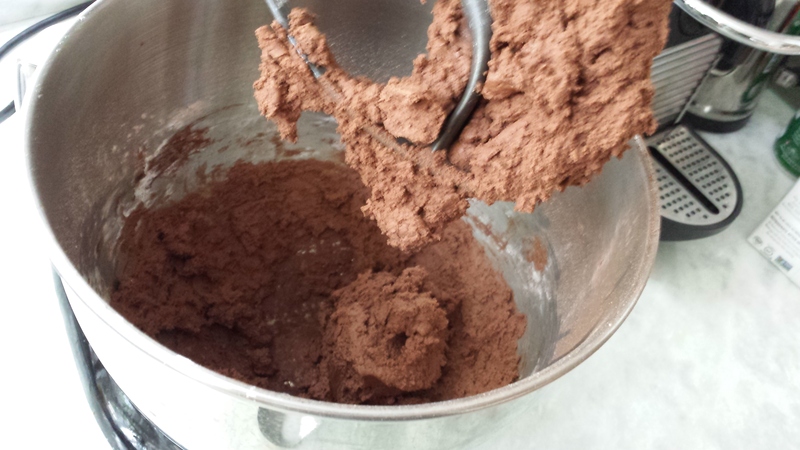 Add 6 T. of dutch cocoa powder and mix well. Alternate adding about 1 c. of powdered sugar and 1 – 2 T. of milk until 2 3/4 c. of sugar have been incorporated into the icing. You will probably end up having added about 1/4 c. of milk. 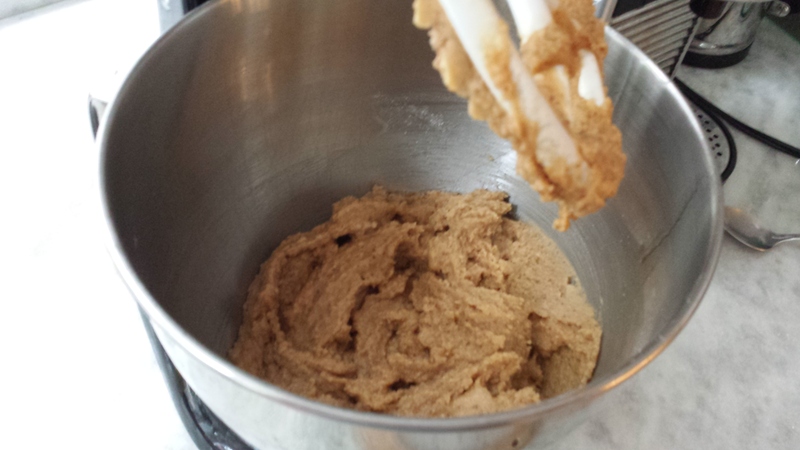 You’ll know the icing is the right consistency when it is smooth, but holds to the mixing paddle (or beater). 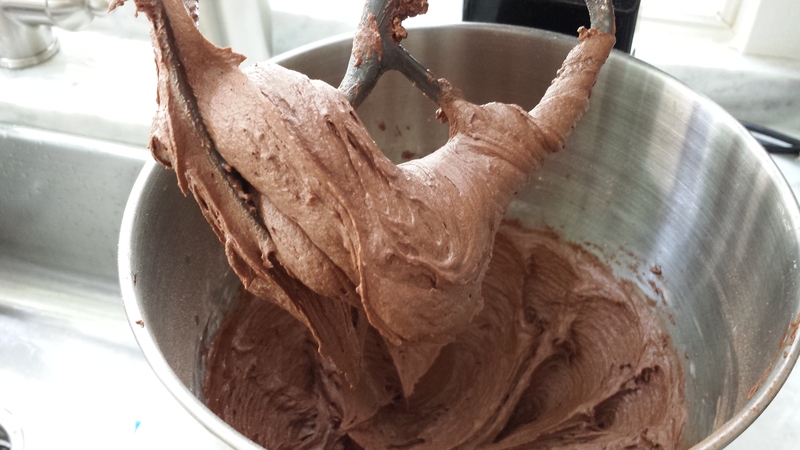 Using a knife, ice each cupcake with about 2 t. of the chocolate icing. Time to enjoy these deliciously rich treats! This entry was posted in baked good, chocolate, dessert and tagged chocolate icing, cocoa, cupcakes, dairy-free, gluten free, grain-free, maple syrup, paleo-friendly, peanut butter, sunflower butter. Bookmark the permalink.